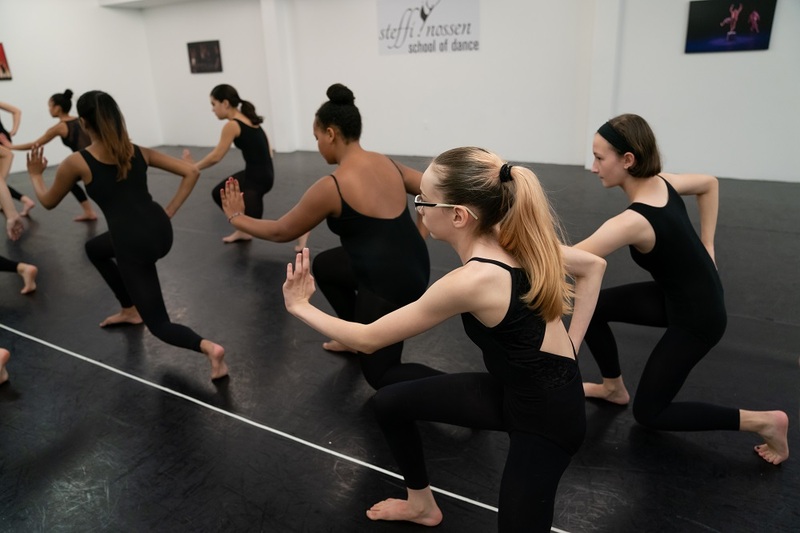 Modern is offered in sequential Level-Based Classes with a curriculum from a variety of traditional Modern dance techniques such as Martha Graham, May O’Donnell, Lester Horton, Alvin Ailey and Merce Cunningham. The Modern curriculum will develop a strong dancer with a clear understanding of a diverse modern vocabulary, body alignment, articulation of the spine, strength in floor work, flexibility and a confidence in their own relationship with movement. Grounded in a strong knowledge of their technique, dancers will explore performance quality and individual expression to develop their own artistic voice. This class is designed for students with 2-3 years prior Modern training. Students will focus on developing a more thorough understanding of modern technique while focusing on proper alignment, strength building and flexibility, articulation of the spine, control in floor work, traveling, jumps and musicality. 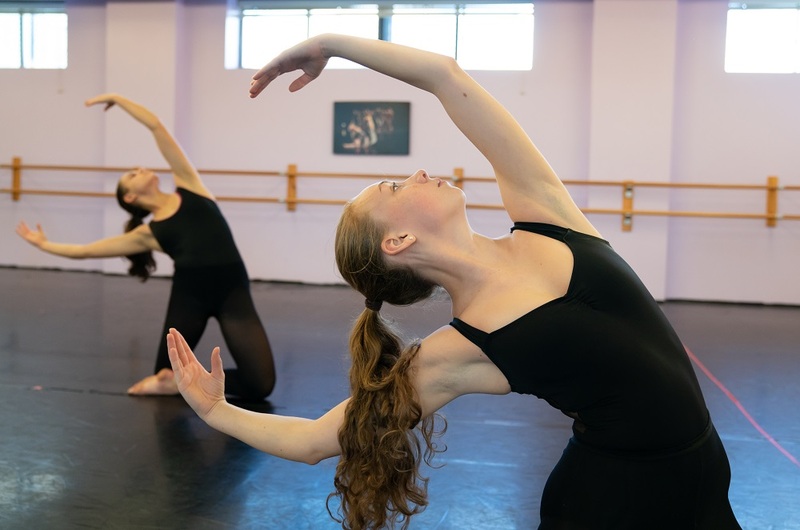 Dancers will gain a better understanding of more advanced center and floor work while continuing to develop their Improvisation and composition studies. The class incorporates prior Modern vocabulary into more complex and challenging combinations. Students will continue to work on advancing their Modern skills with a higher level of understanding of Modern vocabulary and curriculum. Focus is on proper execution of Modern technique, strength, flexibility and body alignment. Additional attention is given articulation of the spine, control in floor work, traveling, jumps and musicality. 3-4 prior years of Ballet required. Our highest level Modern students will continue to build on a more advanced technical class while fine tuning their musicality, attention to quality and artistry. The class incorporates prior vocabulary and curriculum into more challenging combinations. Students must have a mastery of Modern vocabulary and technique to enroll in this class. By teacher placement only.